Of course, if I were talking about the United States here, I don’t think anyone would even bat an eyelash at the idea of a voice talent playing multiple roles. After all, it was common practice up until fairly recently for voice actors to not be hired so much for their talent as for their ability to perform multiple roles. It makes sense from a cost-performance point of view – it’s infinitely cheaper to hire one person that can voice multiple characters than two actors. So what’s the point of all this, and what am I actually trying to say? Well, when you consider the overabundance of talent in the industry and that both Luna and Queen Beryl are major characters in the series, it’s odd that they’d have Ms. Keiko Han do both. 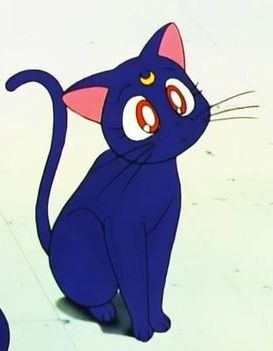 Read also: Why Are Cats Such an Important Part of Sailor Moon? Now that we’ve gotten that out of the way, onto the theory! An interesting theory that I came across on the subject is that having Ms. Han perform dual roles was entirely intentional – specifically, in order to leave kids guessing who the real Tuxedo Mask is until the big reveal later on. 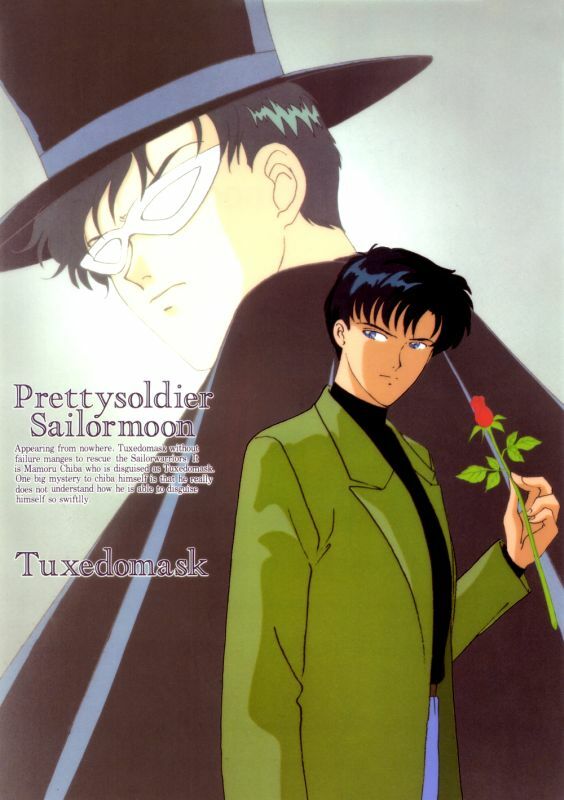 Precisely because it is generally uncommon for main characters to play multiple roles – and especially play roles of multiple main characters – viewers would make an instant connection between Mamoru and Tuxedo Mask and it’d pretty quickly ruin the mystery they were trying to build up to. By having Luna and Queen Beryl also share a voice actress, it could keep the mystery going a little while longer. 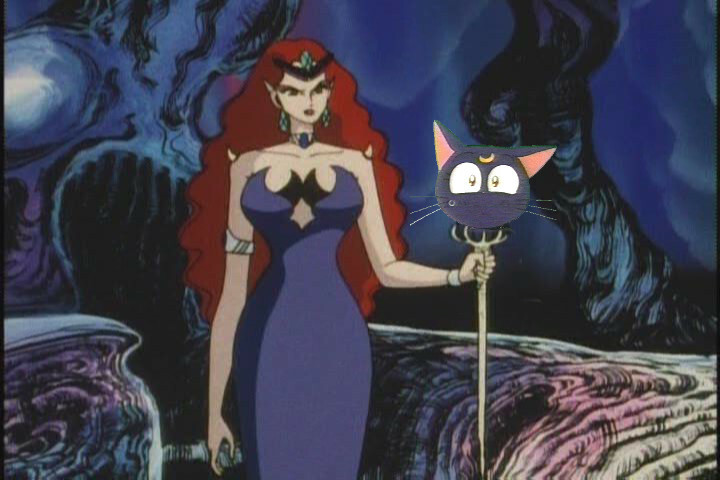 As far as the viewer is concerned, the whole Mamoru/Tuxedo Mask connection could simply be a cost-saving measure just like shared voice talent with Luna and Queen Beryl. I mean, one look at his face kinda ruins that, but… you know, kids don’t pick up on this stuff? Maybe? Now, what do I think of this theory? Well, it’s hard to say. I think they do have a pretty strong argument when you consider just how major of a role Luna and Queen Beryl played. They also went well out of their way to disguise who the Moon Princess was until pretty late in the series, too. But on the other side of the coin, playing multiple characters was by no means rare in the Sailor Moon anime. After all, Ail and An (from the Cardian arc) both came back as Fiore and Xenian in the Sailor Moon R movie. Chiyoko Kawashima voiced both Haruna Sakurada and Shingo Tsukino in the first season before taking on Setsuna from Sailor Moon R. While you could argue that these two were both minor characters,6 The case of Keiichi Namba, voice of both Gurio Umino and Zoisite, pretty much ruins that. This is probably simply a case of the casting directors feeling that she was perfect for the role. Afterall, Keiko Han has an impressive resume spanning 40 years now (15 at the time), so it’s not unreasonable to have asked her to do multiple voices. What’s more, she wasn’t even credited in most episodes as playing Queen Beryl,7 so fans of the show wouldn’t even know unless they were really good at picking out voices. So, dear reader, what do you think? Is this just a case of a casting director making the most of the talent they had available to them? Or, possibly, was it a ploy thought up by the anime production staff to keep kids guessing about the the true identity of Tuxedo Mask just a little bit longer? ← Is Sailor Mars Secretly Buddhist? In fact, Han was not credited as Beryl until episode 46, the very end of the first series. 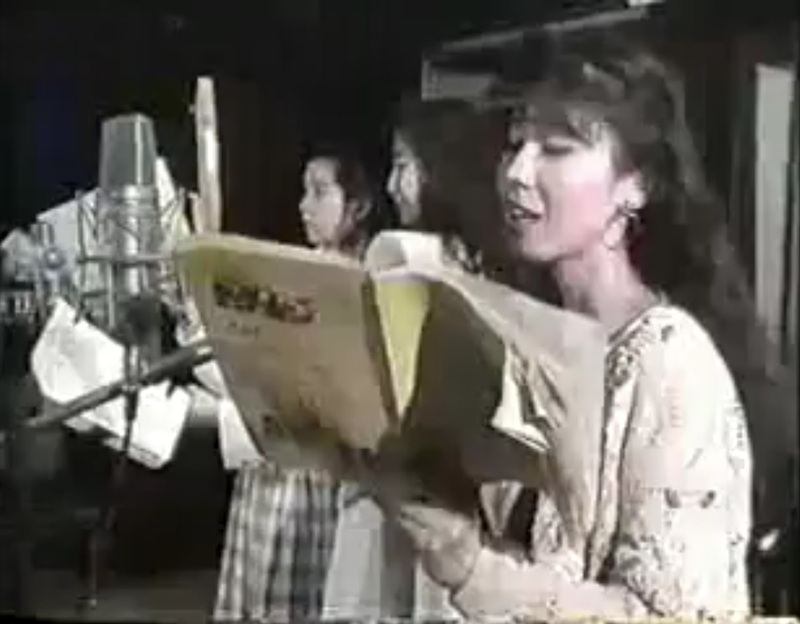 What’s more, the voice actor talk section of the first Nakayoshi Anime Album deliberately avoids showing the name of Beryl’s actress, instead noting that it’s revealed in the credits for episode 46 (see page 123). So there was definitely something going on here, although I always interpreted it as the producers not wanting kids to think that Luna and Beryl were somehow related. On the other hand, look at what happened during the Cardian arc. I *do* think Tohru Furuya was actually credited as both Mamoru and the Moonlight Knight, which is interesting considering the events of episode 50. Wow… good catch! It kinda seemed that way to me, too, that they were actually going out of their way to not associate Keiko Han with Queen Beryl, rather than the other way around of making it known. 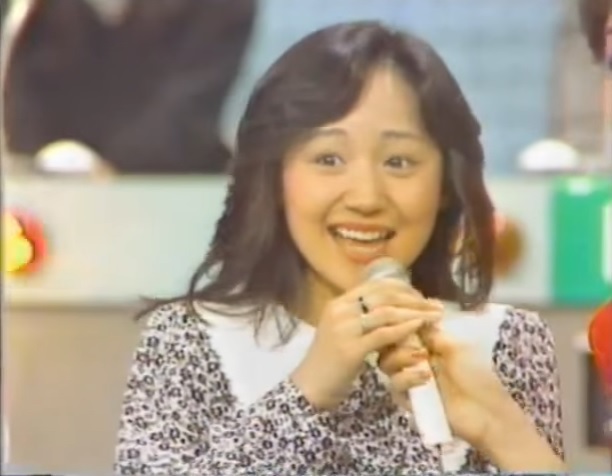 In one of the videos I linked to in the footnotes, where Keiko Han herself mentions that she made a lot of mistakes when recording her lines as Luna/Beryl, she even treats the fact that she played both roles as a big surprise. While the idea what they were trying to delay the inevitable discovery of who Tuxedo Mask’s identity is an interesting theory, I think it just doesn’t hold water.